Can you speak Italian? And, more importantly, would you like to? When I lived in Rome (that was the case for 27 years of my life) I never thought of Italian as a language people would be particularly interested in. I thought it was a language for lovers of the opera, maybe lovers of history of art, but overall I simply assumed nobody would be interested in spending time and money on a language that hasn’t got great geographic distribution or practical use outside of the belpaese. All it took was a couple of weeks abroad to realise how wrong I was: Italian is a language many people love, many people would like to learn and many people feel a connection with. It is also a language perceived as quite difficult to master and may of the foreigner I met asked me if I could suggest a good school that would make the learning task pleasurable and less daunting. Challenged by this request, I set out on a mission and now I do know names of schools that offer Italian courses in Rome that I am happy to recommend to anyone interested. 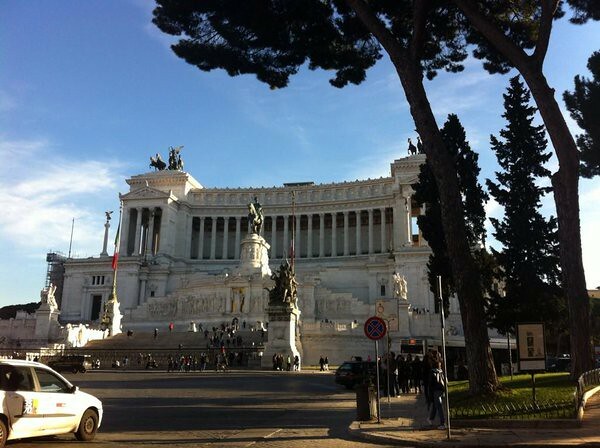 The reasons to choose Rome as your destination to learn Italian in Italy are at least as many as the reasons to go the Eternal city on holiday. Rome is unique in the world, beautiful and culturally rich. It is also very dynamic, stimulating, full of things to do and overall a fun city to live in. Attending good quality Italian courses in Rome is one of the best ways to get to know the city like a local, in true slow travel fashion. Rome has plenty of attractions, and you should definitely find the time to visit the main tourist spots, but I believe its real character can only be savoured and understood staying there for a while. When you become familiar with its courtyards and its cobbled street; when your local barista makes your favourite coffee without you even having to ask for it; when you join the crowds on the bus in the morning to get to school, or work: this is when the city becomes truly yours and you can really understand why Romans are, for the most part, so attached and proud of their city. So, what do you think: nice backdrop for practicing your italian? Rome is full of language schools catering for all levels of ability and budgets but over the course of the years I selected two that I believe are among the best in the city: they are Dilit International House Rome and Torre di Babele. I have no affiliation with either school but worked with IH for many years (in their sister school in Dublin) and took a course to become a teacher of Italian with Torre di Babele, so I can personally guarantee their standard of work. General Italian: the ideal course if you want to practice the language in all its aspects. These are group courses, catering for all levels and with a minimum duration of one week. Exam preparation courses: ideal if you need to pass the CELI, CILS or IT exam. Group and individual classes are available. Special interest courses, that combine learning Italian with an activity of your choice such as for instance cooking classes, fashion and design, music and so on. So, what do you think: would you like to learn Italian in Rome? Or maybe you have already taken a course there?